Times are difficult for a lot of people. Making ends meet is very important. But in business it’s all about image. When it comes to how people perceive you and your company, how you represent yourself is vitally important. 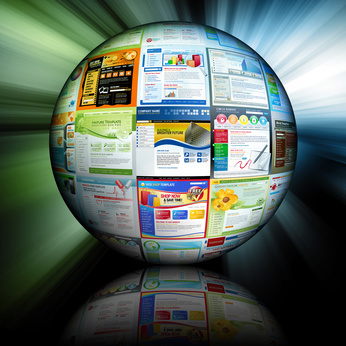 To be a successful business you must have a web presence. Just having your name out there is not good enough. You need to showcase your products and services. You only get a few seconds to make an impression. Here’s five things to look for when you shop around for a web designer and why cheap is not always a bargain. You get what you pay for. This is not just a cliché. The cheapest web design is not necessarily the best representation of your business. Do you really want your business to look cheap? Keep your navigation simple and easy to follow. People notice when a website is poorly designed. Most cheap websites are either copied from a template or from someone else’s site. Will that web designer be there if my site has errors or ceases to function properly? Do you really want to pay someone new to fix your broken site? Do they have a knowledge of SEO and how it works? Even a little search engine optimizing helps get your site noticed. A modern, clean, fully functioning and easy to navigate website says a lot about your business. Update your content and website regularly and you’ll increase your chances of getting noticed. To that end, why not call (310-791-5803) or e-mail Chuck at Creative Juices house of design. We create websites that fit your personality, business and budget. And we’re friendly too. (Chihuahua kisses are optional). ← What do you do with Apps that die? You get what you pay for and no professional web designer spends thousands of dollars to go to college just to work for almost free. For those that like to nickel and dime web designers to death. How is your cheapO budget website working out for you? There are logo designs advertised for $27, including 3 ideas and unlimited changes. Imagine how much that designer is making per hour? Not even minimum wage. Then image the quality and uniqueness of that design.